Bullying is harmful not only for individuals, but it also negatively impacts the relationships among targets, peers, families, organizations, and the community. 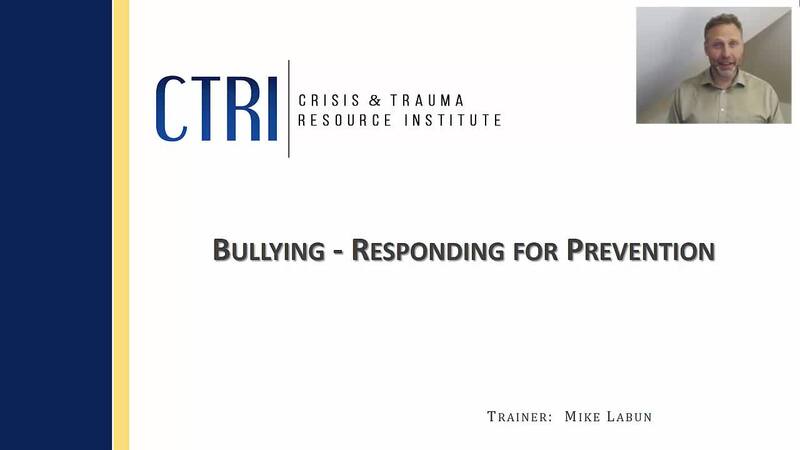 Effective responses to bullying need to address both its impacts and root causes, while also holding perpetrators of bullying meaningfully accountable for their actions. This webinar explores restorative processes that move beyond attitudes and responses to bullying that rely solely on isolation and punishment. Viewers will learn how to put a stop to bullying behaviour, while also strengthening individuals and groups to prevent future harm.